Dream Villa 6, Alanya, Turkey. Set on a small, exclusive development of 6 villas, 5km from Alanya centre at Bektas mountain, this detached, 4 bed luxury, family villa has an 8x4m private pool, set in lush gardens, with the most breathtaking views. Marble flooring throughout, large, cool living and dining area, with a fully fitted, modern kitchen, and a total of 220m2 floorspace. 4 spacious bedrooms, 1 being a penthouse, 2 en suites and 1 family bathroom and a downstairs WC. 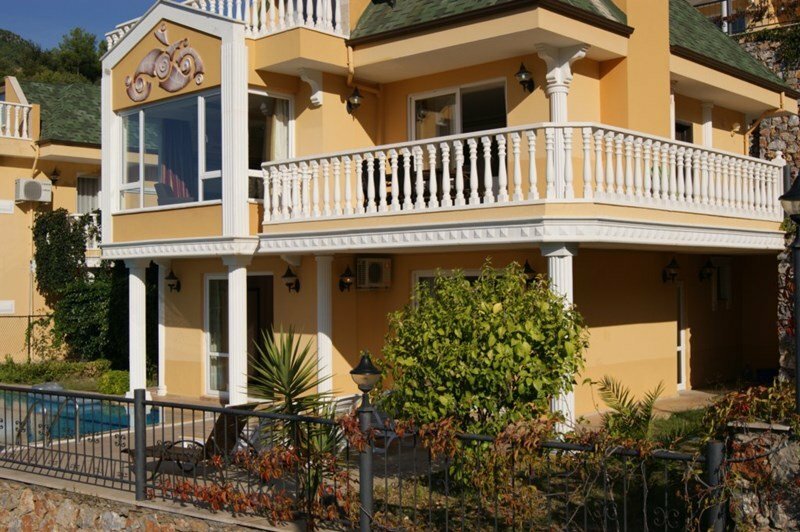 The same superb views from all balconys, this villa is superb base for your holiday in Turkey. Alanya is a large, cosmopolitan resort, with many high class shops, restaurants, bars and fantastic night clubs at the vibrant harbour area. Although taxi fares are very reasonable, many restaurants and bars provide free pick up and drop off services, providing, of course, you use their facilities. The harbour is lined with the large boats that provide day trips for tourists, but when evening comes, the nightlife takes over, with countless bars, restaurants and nightclubs providing entertainment for all. The historic, 13th century Alanya castle is the focal point for the resort, open to the public and extremely popular. This luxury villa, set in this beautiful resort is the perfect setting for a perfect holiday...enjoy!